The fifth and final season of Person of Interest premieres tonight, and executive producers Greg Plageman and Jonathan Nolan recently spoke to Variety about the end of the CBS series. Earlier, Plageman and Nolan said fans can expect an “explosive” series finale. Season five begins tonight, May 3rd, at 10 p.m. ET/PT on CBS. What do you think? Do you watch Person of Interest? What do you hope happens in the final season? 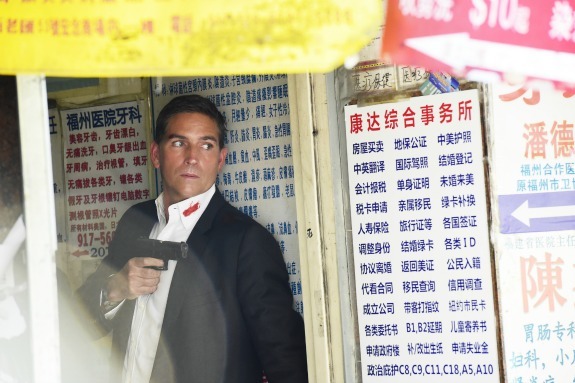 If CBS had kept “Person of Interest” in same spot–Tuesday night at 10:00 EDT–CBS would have had better ratings than Dimitless–Limitless–did. They would not have be looking for a new show now whether it be Persons original plot or the 2nd computer. They brought Bobby back in Dallas to bad they could not have brought Carter back because it that looked like there was going to be a romantic thing with Reese. That would have perked up the ratings. What is it they say “you can’t cry over spilled milk. one of the best show sorry to see it end. too bad. It is one of the few really good shows. Had you stuck with the original premises of the show, I think your numbers would still be good. Bringing in that second machine and the big time villains lost the mission. Think back to shows like Perry Mason. They went on and on with a faithful following. You always take such pride in knowing what the fans want but nobody asked for that machine crap. You definitely jumped the shark when you killed Carter. Then you separated Reese and Finch and brought on those other no talent clowns that they had to babysit. I am done with you!!! You ruined my show! Buy bye!! What does that mean? Everybody dies? I can’t believe you are cancelling this great show! Why? All anyone says is that it’s the final season but nobody says WHY its the final season. Because they abandoned the premise of the show — helping people — and went off on a wild and stupid machine vs. machine jag that bored viewers. Oh, and don’t forget “root” who couldn’t act her way out of a wet paper bag.